Real leather bag in Trachten style. When paired with this Schuhmacher shoulder bag, any outfit gains a sudden glamour boost, making it appear more modern, youthful and cheerful. The vibrant pink saddlebag brings a burst of colour into your everyday life and is guaranteed to turn heads. And of course, don’t forget the beautiful edelweiss blossom decoration. 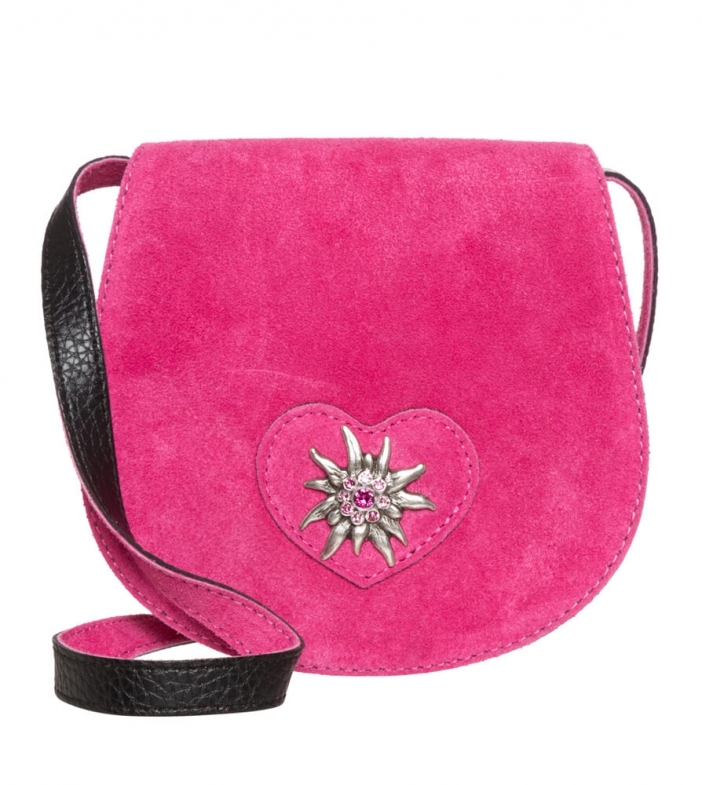 This silver-coloured appliqué is studded with glittering rhinestones and set against a small leather heart. This bag will take great care of your valuables too, thanks to the magnetic fastener on the flap. The adjustable shoulder strap means that you can wear this bag however you want – whether casually over the shoulder or across the body.